Welcome to the website for Randy Levine, Ph.D, Licensed Clinical Psychologist. My mission is to help you overcome your current difficulties and achieve your goals. I have enjoyed working in clinical psychology for over 25 years. I offer affordable, caring, comprehensive, professional assessment, counseling and therapy. Please call, so we can discuss your needs personally and confidentially. I provide assessment, psychotherapy, counseling, spiritual healing and energy psychology techniques. One practice is learning heart based techniques, focusing on opening the heart to greater love and peace. 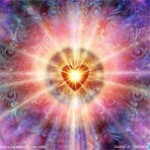 The doorway to healing is opening the symptom up to feel greater love and peace.